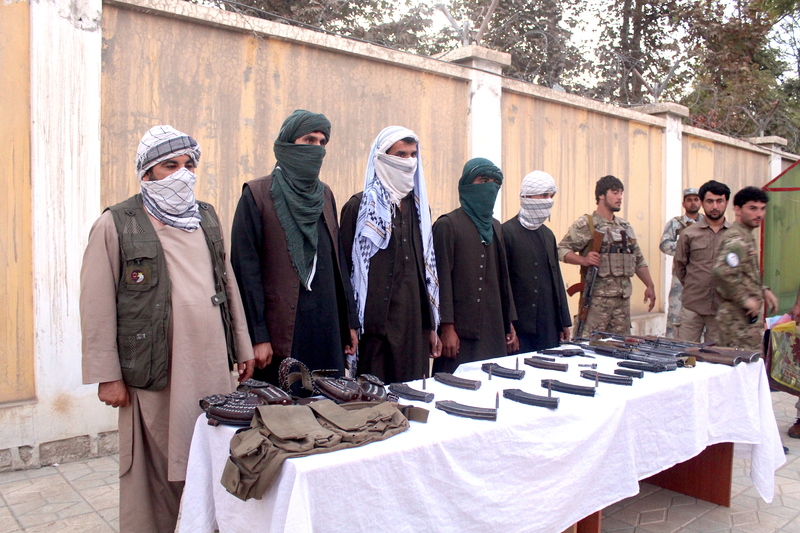 KUNDUZ -- Taliban militants in Kunduz Province should join their comrades who have abandoned the insurgency and received jobs in the region, says the Kunduz High Peace Council. About 500 former Taliban members have found work on various development projects in the area since 2009, most of whom are still employed, according to officials from the council. "The implementation of various infrastructure projects in different parts of Kunduz has worked as a fine, suitable platform for the return of the Taliban to the peace process," Mawlawi Abdul ‌Basir, the chairman of the council, told Salaam Times. These projects include road and school construction, river cleanup and well digging, he added. About 460 former insurgents in the area joined the peace process from 2009 to early 2017, all of whom have been provided with jobs, and another 40 have found work since then, Basir said. "Those who have returned to a normal life over the course of previous years are now living a calm life alongside their families," he said. "The Taliban must realise that the government has prepared and set aside for them good jobs," he said. The Kunduz Peace Council can help Taliban members who abandon their fight "meet the basic needs of their lives in a peaceful and secure atmosphere" through employment, Basir said. Infrastructure projects that have employed former Taliban members are helping improve the lives of regional residents. In 2013, construction of a hydroelectric dam began in Dasht-i-Archi District, according to Asadullah Umarkhel, former chairman of the Peace Council. The project was implemented mainly due "to the joining of four groups of the Taliban to the peace process in the aforementioned district," Umarkhail told Salaam Times. The total cost of the project was more than $200,000 (14 million AFN), which came from the budget of the High Peace Council in Dasht-i-Archi District, he said. Almost 1,000 families in the Dasht-i-Archi plains area benefit from this electricity, as well as the majority of families in the centre of the region, he added. "The people of Afghanistan will witness remarkable progress in many various ways, provided that the Taliban accept peace," said Mawlawi Sayyed Akbar, a religious scholar in Kunduz city. "The great Koran says that there is goodness in peace and that Muslims must make peace with each other." 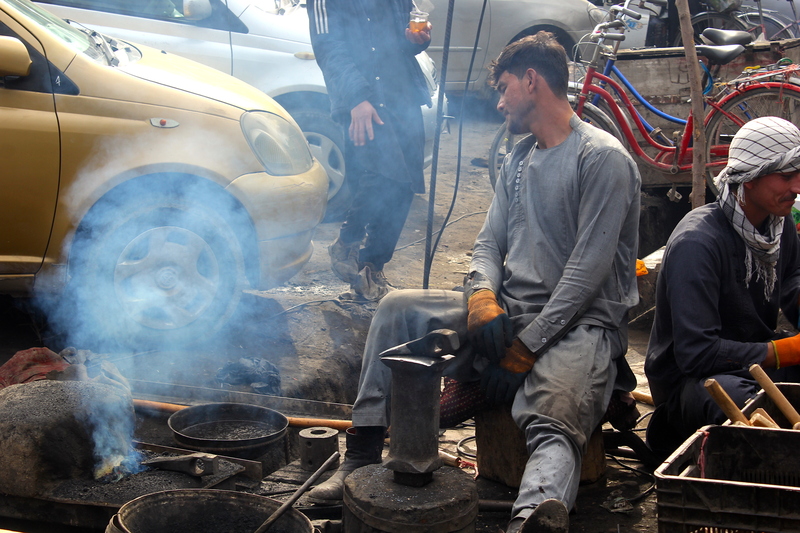 Former Taliban members who have joined the government in recent years as part of the peace process in Kunduz Province say ending their fight and taking up employment have helped them return to a normal life. Qutbuddin Ahmadi, a former Taliban commander, gave up fighting against the government in 2015 to join the peace process in Aliabad District. He told Salaam Times that he is content with his work and is living once again with his family. "I fought the Afghan government and its forces for eight years in the Aliabad and Chahar Dara areas in Kunduz Province," he said. "Along with 10 men under my command, I spent nights and days in the plains and mountains." During that time, "my family was left without someone to look after them. In fact, my wife and children were adrift and homeless, all while I thought I was carrying out a jihad," he said. Ahmadi said that once he realised that it "wasn't a true jihad," he decided to join the peace process, bringing along those under his command. "Now my life is guaranteed," he said. "I work very comfortably, and I am pleased with my life." Another former Taliban member in Dasht-i-Archi District who gave the pseudonym Sadiqullah said the Peace Council found him a job working on a road-repair and asphalting project after he gave up fighting four years ago. "In return for my daily work, I received some money to help pay for my family expenses," he said. "Similarly, many other Taliban members have been working hard every day, and we will continue to live our happy lives with our families and children." He added that he and other former Taliban members "were deceived in believing that fighting the government is legitimate jihad and that we should fight the system. Nevertheless, we later realised that we are moving in the wrong direction." Separately, Basir told Salaam Times that it is evident that Russia and other countries are involved in the war in Afghanistan, adding that foreign powers are providing smuggled arms and ammunition to the Taliban to extend the conflict. "Russia, China, Iran and Pakistan are interfering in Afghanistan's affairs," he said. "Worst still, some of these countries may very well be both donors to and sympathisers of the Taliban." "There is no doubt that the Taliban have relations with the Russians, with whom they hold meetings," he added. "The fact that the road to smuggling is open is proof enough that weapons and ammunition are smuggled to the Taliban from across the border," he said. Still, achieving peace in Afghanistan is possible and the factions involved in the war are ready for peace talks, Basir said. "During the consecutive meetings we held with Taliban leaders in Kunduz Province, they assured us that by saying, 'We are following orders we receive from our leaders in Qatar. We will lay down our arms whenever they order us to do so,'" he said. "In these talks we realised that the Taliban, too, are weary of war, impatiently waiting to see the outcome of the peace negotiations," he said. The people of Afghanistan are calling on everyone "to urge both sides to come to terms for peace and prosperity," added Basir. Determined to entangle the United States and its partners in Afghanistan, Russia and Iran have engaged in subversion, including backing the Taliban. 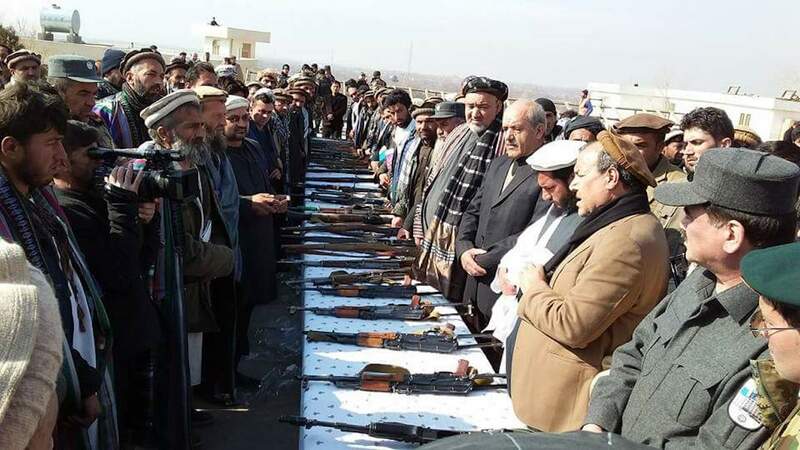 Expressing regret for their previous activities, 56 former Taliban militants surrendered their weapons and promised to fight alongside Afghan government forces.